I'd braced myself for bad news. Although I had tried hard not to think about my recent ultrasound, I knew I needed to be prepared just in case the news was not what I wanted to hear. Over the weekend, I chose not to dwell on the "what ifs" and did my best to enjoy the beautiful weather. I knew I'd get the results from the test in a few days and didn't expect to hear anything until Monday or Tuesday afternoon. Why hadn't I prepared myself for the best and expected it? As a person of deep faith, shouldn't I have trusted God enough to know my test was going to turn out just fine? Why had I focused on the negative instead of the positive? (And in this case, the negative was a very bad thing instead of a good thing like the results of my test.) I needed to figure this out. The more I thought about the reasoning behind steeling myself for a bad report, the more I understood. For the past 2 years I'd faced a lot of trauma in my life. The diagnosis of breast cancer was a huge, unexpected shock I never expected to experience. 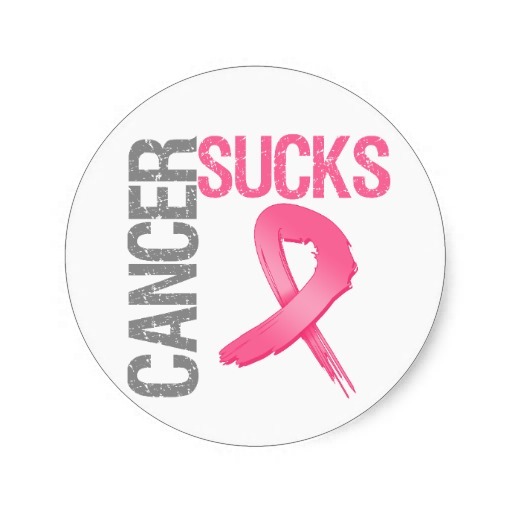 And being instantly schooled in the hard knocks school of breast cancer, I knew the chances of cancer coming back in the first 5 years were very great. That's the reason all of my doctors have watched me so closely and continue to do so to this day. It's like there's an expectation of bad news hovering over my head like an ugly, ominous cloud. So naturally, I would have prepared for the worst. But where was my faith? I knew, beyond a shadow of a doubt, God had already told me (when I received the results of my "chance of recurrence" score in the F.I.S.H. test and my result was a 7 out of 100) in my spirit that the cancer was done, complete, finito!!! 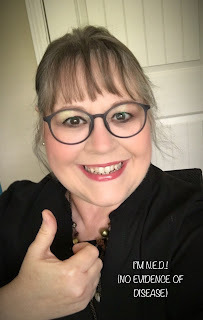 He used the number 7 (in Biblical numerology the number 7 represented completeness and finality) to seal in my spirit the end of my breast cancer journey. How had I conveniently forgotten that fact? I have no idea! But as I read the report for the ultrasound, it was almost like I could hear Him speaking to my heart saying, "Oh, ye of little faith! Don't you remember my promise? Don't you remember I confirmed your journey with breast cancer was completely over? Don't you remember that test and how you felt that day in the oncologist's office? Don't you trust me completely?" Wow. Just WOW! So I need to do a little adjusting to my way of thinking and I need to do a whole lot of remembering what God has done in my life thus far. I know, more than likely, my preparing for the negative was just a spiritual attack from the enemy. But it won't happen again! With the Lord's help, I'm going to stay suited up and keep the belt of truth buckled tightly around my waist. God has already promised me that "no weapon formed against me shall prosper" and I'm going to hold him to that promise! 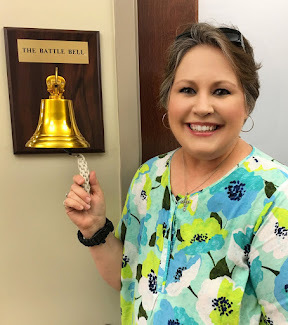 I declare here and now that I am CANCER FREE and God has said so too. He spoke to my heart and I believe Him because the Bible says He cannot and does not lie. Praise God for a negative report that held wonderful news! I am so blessed and so very grateful! God is good, all the time...all the time, God is good! If I could, I'd shout it from the rooftops but the internet is even better because it can reach a whole lot more people than I could standing on my roof shouting at the top of my lungs. Please rejoice with me! God is still in the business of doing miracles.